In this series, the Foundlings lads have casual chats with some of our favorite Buffalo poets. 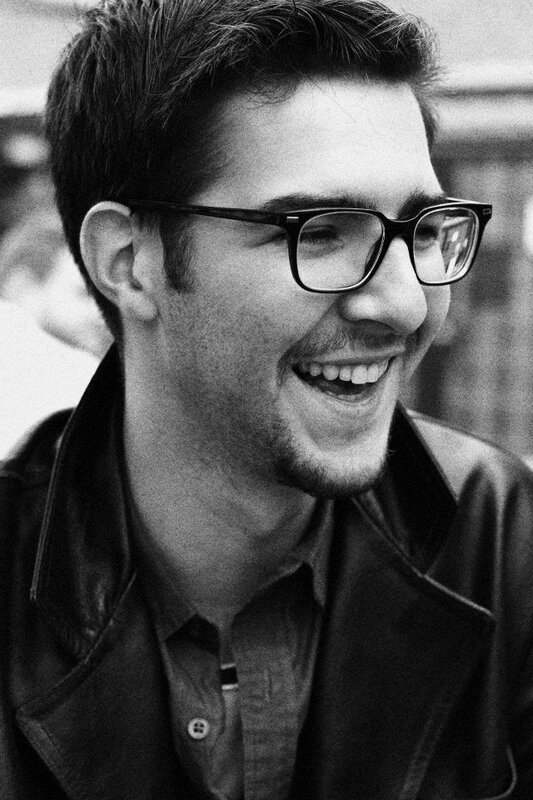 Interviewed: Justin Karcher, author of Tailgating at the Gates of Hell and editor of Ghost City Review. Friends and Foundlings Ep. 1: Justin Karcher — TEASER from Foundlings Magazine on Vimeo. Foundlings Vol. 2 is slated for a mid-winter release, which mean we need new material from this planet’s best poets. Submissions will remain open from Friday 5 August to Friday 2 September. Please send 1-5 of your best, previously unpublished poems to foundlingszine@gmail.com. We will endeavor to respond to all submissions sent during this period within four weeks after the submission window closes. If you’re considering submitting for Vol. 2, you should check out Vol. 1, which is available at both Talking Leaves locations and online — you can purchase hard copies (signed!) or digital downloads through our Gumroad store. You can also look at copies in the Canisius College library literary journals section and in the University at Buffalo Rare Books collection. Following our wildly successful launch of Vol. 1 at Sterling Tavern this past May, we’ve decided to stick with the “reading and rager” model for launches. You can trust that release party for Vol. 2 will be even bigger and better than the last, and that we’ll have more information on a date and venue soon. GREEN TURTLE CAY doesn’t have a bank or even an ATM, the museum and the health clinic both fail to keep the hours they post, and when I ask if there’s a police force, I learn that it’s comprised of one man — and “he isn’t always here.” But the Green Turtle residents do have a Home Depot. At least, that’s what they call it. The locals call this place “Home Depot” — it’s the town dump, periodically lit on fire because shipping is too expensive. This whip just needs some time and tender care. Gerry Crinnin’s latest book of poems, Haiku to the Chief, has been doing quite well since publisher Ghost City Press released the sleek edition on the 4th of July. Available online and at both Buffalo’s Talking Leaves locations, the book will launch officially with a night of reading and drinking at Founding Fathers Pub, Sunday 28 August at 7pm. 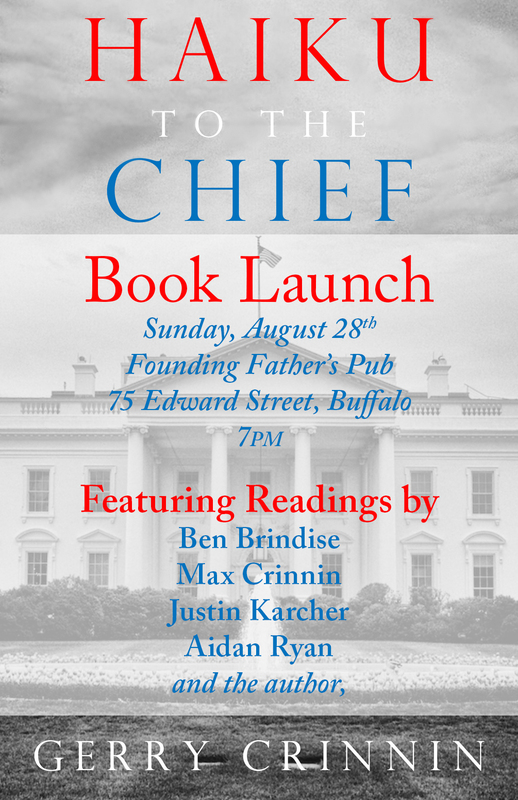 Gerry Crinnin will be joined by myself and his son Max, our friends Justin Karcher and Ben Brindise, and other poets, who’ll read before he takes the mic, our hearts, and this nation’s flag in his hands. The event is free and open to the public, and books will be on sale and available for signing there. You can get yours in advance, though, by ordering online. Click the link. By the time the Arctic Monkeys’ fifth studio album, AM, was released in September 2013, Alex Turner had established himself as one of the most compelling frontmen in rock and roll — though perhaps not for the usual reasons. Suddenly, he was channeling a bit of Jim Morrisson’s brooding croon, pulling off Jaggeresque sashays, and doing more with his hips than anyone but Beyonce. But, no matter how much WD-40 he seemed to have sprayed on his hip labrum, the whole pomaded AM aesthetic seemed a bit too polished and rehearsed to be really rock and roll. Cue Miles Kane. The pair collaborated as The Last Shadow Puppets on 2008’s The Age of the Understatement, and though they’d created a sound basically unlike anything else in the twenty-first century pop/rock universe, their relationship as musicians and as pals took a few more years to reach maturity. These guys are best mates — evidenced, for example, by that video of them flailing at a Strokes concert — and maybe you can only be as loose and goofy and, well, yeah, rock and roll, as these two are Tuesday night at Terminal 5 in midtown Manhattan if you’re playing with your best mate. It helps if your tunes slay and if you have a decade-old audience of worshipping fans, which these two do. You could say that New York’s invisible stars were aligned for an amazing show tonight.